One of the best ways to customize your website is to change the background. You can set your background to show an image, solid color, video, or slideshow. Access the Background settings by clicking on the Style button in the Site Admin. Click on the Background tab and you will see the available options. All backgrounds you have created will appear, with the current selection highlighted with a blue border. You can add a new background by clicking the + button. Clicking on any of the existing backgrounds will activate a preview on your website. If you like the background, click the Save option, otherwise Undo and select another. Click the trashcan icon on any background to delete it from your background library. Note: For best results, you'll need to upload a high quality background image that won't look pixelated on large screens. We recommend starting with an image that's at least 2000px wide. You can choose a unique background for each page of your website. Choose the page for the new background in your navigation, then click on the + button to choose your background. You can then select an image, solid color or slideshow to use. After clicking Save, your new background is set for that page! You can then choose if you would like to set this background for all pages. Just click on the settings icon for the background to find this option. This will replace the background on all pages. When you select the Slideshow option, you can upload several images at once, or one at a time using the smaller + button. Once your images appear in thumbnail form, you can reorder them by dragging and dropping them. You can also set the speed for how quickly they fade from one to the other. For video, you'll choose a video from a service like Youtube or Vimeo. 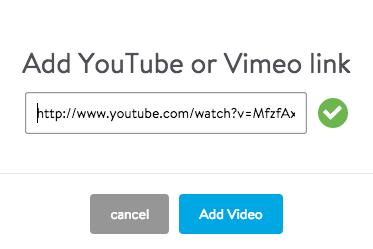 If you want to use your own video, begin by uploading the video to one of those. Then, copy the website address of the video and paste it into the available field in your background settings. The Jimdo system will verify the address and give you a checkmark. Click Add Video to add the video to your background library. If you do not see a checkmark, double check that you copied and pasted the video page's URL correctly.